It is more likely that Theresa May will be gone from Downing Street in the coming weeks than the UK will be gone from the European Union. Her inability to keep the Tories, the EU or the public happy has ensured the May premiership will go down in history as a monumental failure. The British media has previously speculated that the prime minister "loathes" Taoiseach Leo Varadkar - but there has long been a train of thought in Dublin that life is 'better the devil we know'. However, if she is toppled in the coming days, there's a clear favourite for who the Irish Government would like to take over. 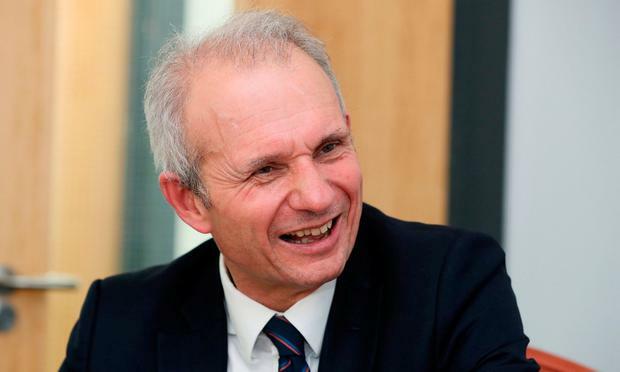 Despite being the de facto deputy prime minister, David Lidington is far from a household name. Having served as Europe Minister from 2010 to 2016, he is seen as 'Mr Europe' and very much on the pro-remain side of the Conservative Party. In Irish eyes, he is head and shoulders above the others being speculated upon as a replacement for May, including Michael Gove and Boris Johnson. Lidington has been a regular visitor to Dublin since becoming Cabinet Office minister in a reshuffle in January 2018. He has built up a very comfortable relationship with Tánaiste Simon Coveney, and Irish officials say he "gets it". Coveney himself has said: "My relationship with David Lidington is a very close one and a very warm one, that's true." Last month as the mayhem gathered pace in London, Lidington asked to come to Dublin for a chat. Ministers had been warned by the Taoiseach not to allow themselves be duped into bilateral Brexit talks with their UK counterparts - but he was fine with Lidington's visit. They trust him. Speaking to reporters before that meeting, Coveney said he had nothing new to say to Lidington but he was happy for him to pop over anyway. They spent more than an hour discussing the political situation in Westminster. It's in stark contrast to the attitude towards Johnson, who viewed it with suppressed contempt. Ministers who might have been tempted to criticise Johnson during his time as foreign secretary were strongly encouraged to stick to a stock answer. It went along the lines: "When we want to know the UK position on Brexit we listen to the prime minister." If Johnson were to move into Downing Street, it would cause panic here, primarily because of his inability to grasp the details. On one visit to Iveagh House, he was repeatedly corrected by civil servants during a private meeting with the Tánaiste before the pair publicly clashed in front of the media. Dublin is unsure what type of plan Michael Gove would bring to the job, but are open-minded on Jeremy Hunt or Philip Hammond. But there's no doubting that Lidington is their man.